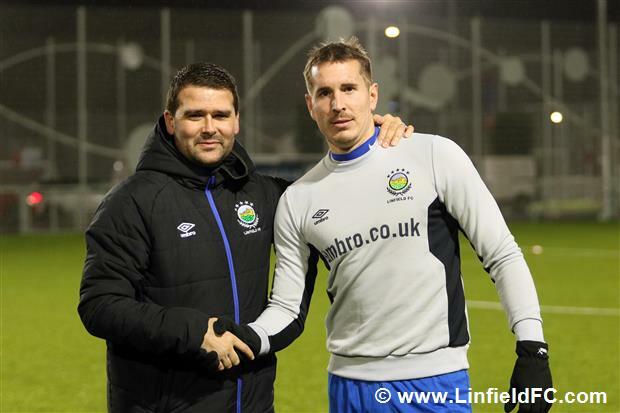 David Healy announces news of a loan signing. “I’m delighted to be able to advise our supporters of a striker joining us on loan until the end of the season. 26 year old Marek Cervenka joins us from FK Teplice in the Czech Replublic. He’s an experienced player who has also played for Slavia Prague, so he comes to us with good pedigree. The signing is subject to international clearance, so he may not be available for Monday night’s “Big Two” game at Windsor Park. Marek was with us for a week earlier this month and he impressed in training. He also impressed in a behind closed doors training game at New Midgley Park against Portadown on the evening after our Shield semi final win at Ballymena. Marek will strengthen our squad and increase our striking options, as we look ahead to a number of huge games in the coming weeks. His signing will increase the competition for places within the squad and he’s keen to impress and show his quality during his time with us. He arrived from the Czech Republic yesterday and trained with us at New Midgley Park last night.